you and your wife can have a look at her progress in person. when our protocol was very primitive,still she responded partially …you can verify the same in person. On her 15th oct,2013 visit, we will extract 75 grafts for multiplied stemcells,2d/3d spheroids…and she will receive her 1st/2nd/3rd injection on day 45…day90… and day135… respectively. You can also take contact numbers of patients who have responded very well to HM injections,and can speak to them in person or visit them ,as you are from mumbai. Dr Nigam what happened for the case of conversion Nw 7? will post his pics(mr joshi)…and the treatment plan tmr night. Dr Nigam - this is great. Exciting… I am going to be in Berlin on 8-15 December. Any chance you can meet there? I’m sorry I can’t go as far as Mumbai. Didn’t you already start a different case? Am I to understand that you did a first case and now you are starting a 2nd case or what? I thought that people here picked out a case and you were going to do the one that people picked out. You realize Dr Nigam has other patients from the ones selected here? Yes, thanks Hairman, I would like to meet! What happened to Thane ? It’s THE case people are interested in. All others, yeah nice and all, but we want Thane ! Everybody agreed that it’s THE best case. It’s the only case that will be impossible to fake. free medicine or treatment is not taken seriously. There is no point in starting a case with someone…who is not sure to commit himself till the end. This new nw7 is Mr Joshi,he is 38 years old. In the mean time tom is at belgium with dr mwamba,he just gave me some good review about his donor and recipient…after analysis by mwamba. 75 grafts were extracted from his beard and sent to our biotech lab for isolation of hair stem cells and dermal papilla cells. We will wait for minimum 30 days to have good number of above cells to be injected into the bisected grafts .We have sealed the beared holes with growth factors and extra cellular matrix hence there will not be any white dots ,we may get hair regeneration at the beard too , definitely with future injection of multiplied progenitor hair stem cells and multiplied DP cells. On day 1 to day 4 we intend to extract 80- 90 % of his donor hair . Do an in-vitro doubling , where in we bisect the follicle under magnification and implant one bisected part and the recipient and the other at the donor scalp . At the same time , we will inject growth factors , multiply progenitor stem cells , 3D spheroidal multiplied dermal papilla cells , extra cellular matrix and concentrated PRP . Repeat injection of multiplied progenitor (CD 200+ ) hair stem cells , 3D spheroidal dermal papilla cells , growth factors and ECM plus balance 20% donor left after first session will also be extracted . Repeat injection as mentioned in day 5 plus doubling of whatever new grafts which would have grown back . Remember anytime if the stem cells and DP cells are exhausted in the lab , new 75 grafts will be taken from the beard for the same . Repeat injection as mentioned in day 5 plus doubling of whatever new grafts which would have grown back. Remember the above protocol is chosen since the patient is a localite from Mumbai , if someone is from outside Mumbai we would have called him for four days per session, 6 months apart to save on number of visits for the patients who are NW7 . The protocol and the number of visits may change if the person is ready to wait to see the results of pure hair multiplication for 7-8 months if the patient responds to HM nothing else to be done , if the patient does not respond he would have to go back to doubling .NW2/3/4 may require 2-3 visits . extraction of approx 75 beard grafts for culturing stem cells and dermal papilla cells. Dr Nigams, these pictures are extremely blurry and of horrible quality. You can shoot better ones with a random cellphone. This is not how you’re going to convince us. What happened to your photographer ? Yes, they surely give the impression that this guy is a NW7, but it’s impossible to tell without better pictures. Furthermore it’s impossible to judge the quality of his donor. And lastly, if you want to give this case more credibility, then ask the patient for some more photo’s, would be great if he had a few where he was a few years younger too for example. Honestely, Dr Nigams, I don’t get it. After all that happened, you know how to convince us. You know we want to see good quality photo’s. Yet you show us this. If you’re intentions are good, then I really don’t understand why your not putting in some more effort to show us good photo’s. Anyway, Mr Joshi,does not only give impression of NW7…he is a NW7. If somebody totally unskilled can shoot photo’s like this, by just clicking 1 button, with a nonprofessional (but decent) camera, then why do you keep showing us photo’s like you’ve just uploaded ? Most cellphone’s can make better ones ! Also, again, please ask this patient to send you a few photo’s, preferably from a few years back too. It would give the case a lot more credibility. And lastly, when are you going to operate on Thane ? I will call Mr Joshi on sunday. Will take more clearer pics ,to clear your doubts about his nw status. If,i would have waited and than posted with clear pics,you would not be happy either, as i promised to post his pics on 7th october. Regards Thane patient,tell me where to send his mail id and even phone number…if you can convince him to do the same…i am more than ready to start operating on him. he said he is already 60plus and have a busy travel schedule,and would not be able to devote time for megasessions ,over a period of one year. You can also ask any of the forum member from mumbai…to verify Mr Joshi’s nw status in person. Anyway a forum member from UK is coming on 15th october,and veca is coming after that…one of them can see Mr Joshi in person and verify his nw status. They literally say: "Stills look pretty bad – soft and overprocessed. Many camera phones are better. (Unsurprising given that Sony’s “5.3-megapixel” photos are actually 1.3-megapixel photos bloated up for specsmanship.) "
I don’t get it Dr Nigams. 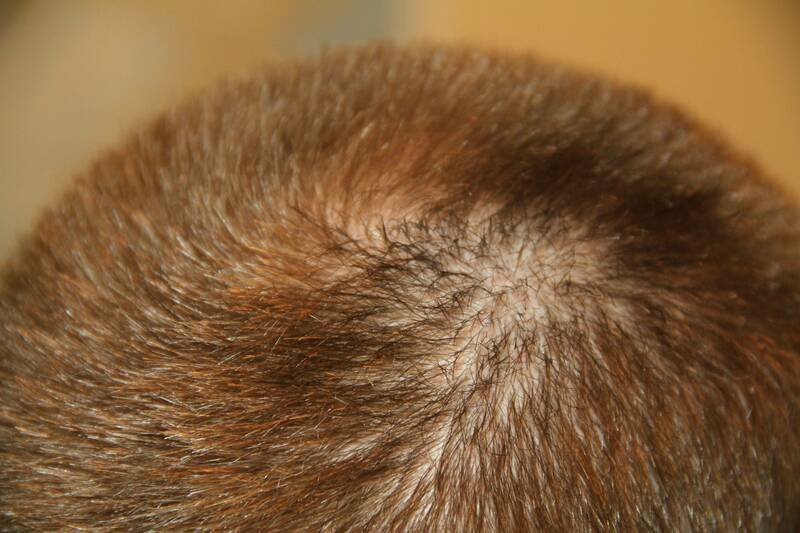 Supposedly you’re smart enough to cure hairloss. But somehow you just can’t figure out how to document it convincingly ? You are spot on ,these pics are shot with sony video camera, while my nurse was taking his video interview. Will talk to the patient tmr…and lets see when he can come to reshoot his pics. Ok Dr Nigams, I’m willing to go with the assumption you were just naive and actually thought that shooting 1 megapixel quality photo´s with a $169 videocamera was the best way to convince the world of your technique. Just please do not EVER do that again. At least not if you’re serious about trying to convince people. Also, just wow at going for 80%-90% of his donor. This is VERY agressive, I assume you are very confident in your doubling technique Dr. Nigam. Good luck.